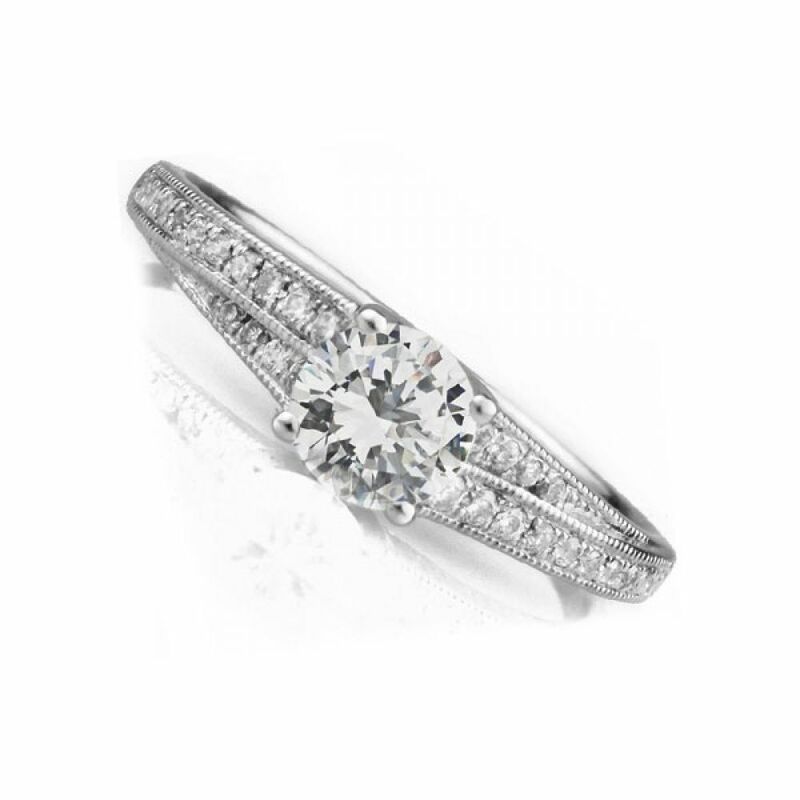 A delicate vintage style Engagement Ring is centred around a 0.25ct Round Brilliant cut Diamond. Held in a four claw setting above double flared and stepped shoulders, this Round Brilliant Diamond is matched with a further 0.15cts of matching Diamonds, finished with Milgrain Edge detailing. 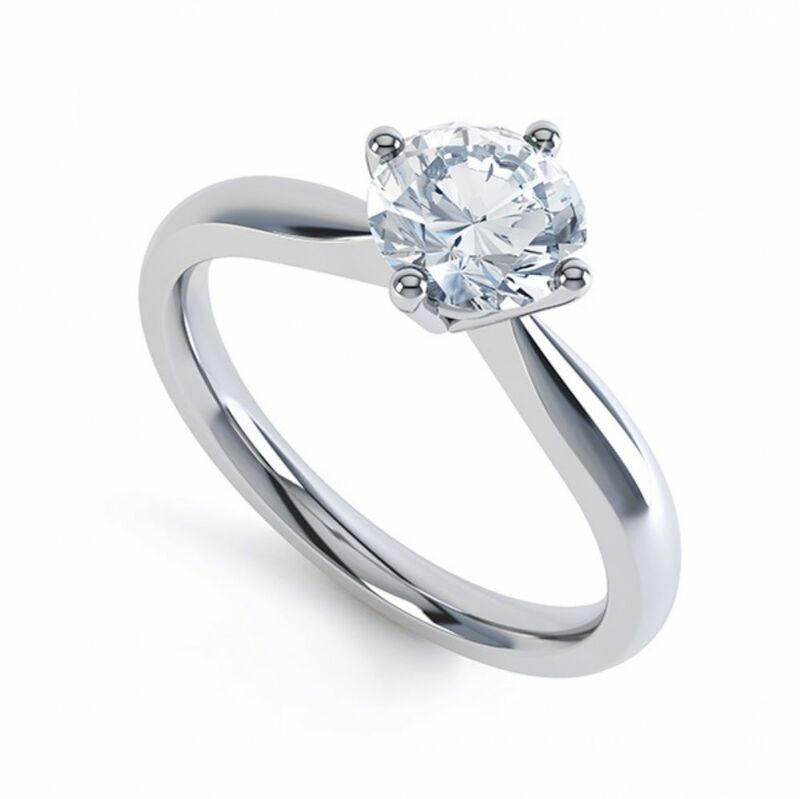 The central Diamond, which measures approximately 4mm, has been graded G Colour and SI2 Clarity prior to setting. 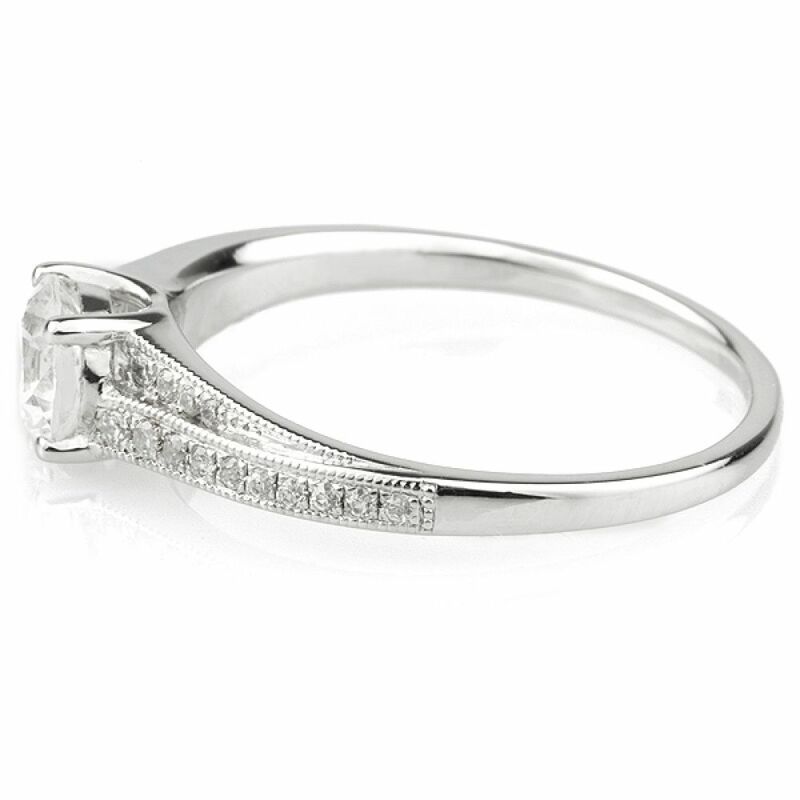 Created in 950 Platinum, this particular ring will fit a finger size N. Available for immediate dispatch, your ring can be with you with Next Day Delivery (within the UK), and with you in just a few days if you live internationally. It will be delivered by a secure courier straight to your door within our bespoke packaging, including the perfect proposal box.